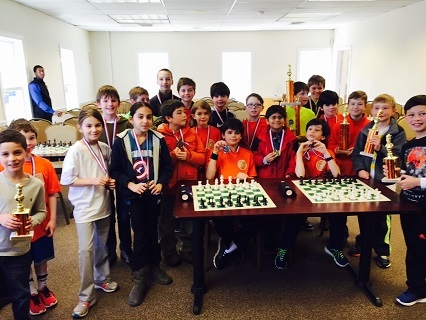 With a sold out tournament, our K-8 Scholastic Championships this month was as competitive as ever. A special congratulations to Matthew Krauss, Jack Dodman, Aditya Mital, Julian Green, Keaton Marcus, Collin Ferguson, Tristan Stringer, Micah Worely, Daniel Manos and Tyler Roh who all successfully completed their first rated tournament ever! 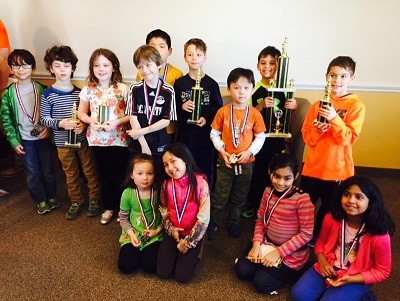 Neel Behringer and Henry Chandra tied for first in the K-2 section. Caleb Klenoff and Ian Hoffman finished tied for 2nd place. Aurelius Mlynar and Alexander Zhelonkin shared first place with 3.5/4. A massive tie for second place demonstrated the competitiveness of the section. 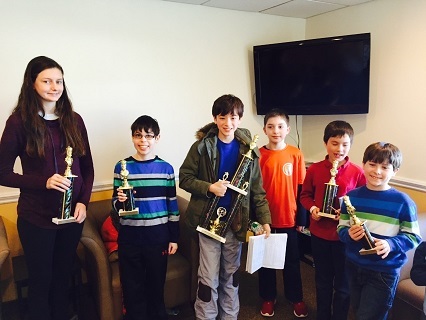 Jack Cole, Michael Fotin, Meena Behringer, Brian Antczak, Dwight Koyner, & Jack Haythorn all tied for 2nd place with 3/4. Meanwhile, K-8 section was won in great fashion by Andrew Gray. Gray cruised to victory winning all four of his games. Lindsey Manos took sole 2nd place. 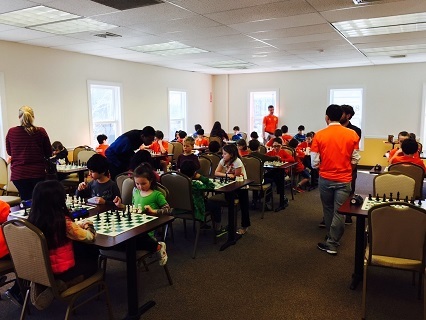 Congratulations to all and thank you for making this tournament a huge success! We look forward to seeing you all again soon!